2019 is expected to be another strong year for intermodal shippers. Some analysts predict that the global industry will grow at a compounded annual growth rate of 7% by 2022. What’s driving this continued growth? High trucking costs, improved intermodal infrastructure, and advancements in technology are all contributing factors. The intermodal infrastructure boom has begun. One of the biggest obstacles for intermodal transport is a lack of infrastructure. Because rail lines are inherently inflexible, the proximity of warehouses to railroads and the availability of “inland ports” both play a role in whether or not a supplier decides to take advantage of intermodal shipping. For a variety of reasons, intermodal transport is expected to become more popular, and that means that real estate adjacent to rail lines is expected to become more valuable. Rail-adjacent warehouses will be an especially interesting area to watch, according to JLL Industrial, a Chicago-based property investment firm. This interest in rail-adjacent warehousing accompanies major public and private investment in rail infrastructure. Class I railroads are undergoing massive improvements, while “inland ports” in heavy freight regions like Atlanta, Chicago, and Dallas are seeing warehouse inventory growth ranging from 3% to 12% over the past five years. Shippers will continue to operate at capacity. Many intermodal shippers have been operating at or near peak capacity, and that trend seems likely to continue in 2019. Unfortunately, too much demand has led to backups and delays in some cases. Barring a major economic downturn, the demand for intermodal transport will probably continue to grow. However, a projected increase in truck availability should allow companies to meet demand with less terminal congestion. The trucking marketplace has been tight for several years. In 2018, a shortage of drivers was compounded by a massive backlog of orders for new vehicles that drove up prices and, in some cases, slowed growth for providers. While the backlog of truck orders is beginning to clear out, staffing shortages continue to be an issue for some companies. As a result, the price per load on American highways is up. According to some forecasts, truckload (TL) rates are expected to rise 5% to 7%, with less-than-truckload (LTL) rates rising 3% to 4% this year. High TL rates have driven a number of suppliers to intermodal transport. Many turned to rail to move containers from the port to inland hubs, and they’re unlikely to go back due to the historically low cost of railroad freight — rail can be 18-20% cheaper than road in many cases, and is more eco-friendly to boot. Technology is a major driver of growth. Automation is making its way into almost every part of the supply chain — at sea, in the drayage system, on the road, in warehouses, and on the rails. Autonomous vehicles are dramatic examples of this trend — they’re already in operation in Australia, where a fully autonomous train delivered 28,000 tons of ore this past summer. Automation is also making a big difference at the port, with modern drayage technologies making intermodal transport more profitable. From IoT product tracking and smart containers to cutting-edge scheduling, new software is transforming the way the supply chain operates. 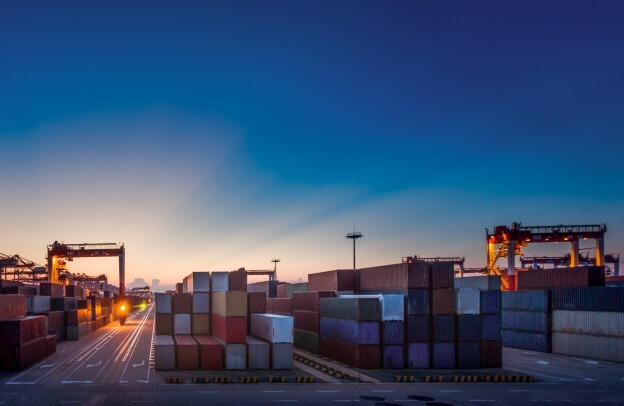 In addition, leading 3PL companies are reinventing product tracking software and using big data to prevent backups that leave containers waiting around at port. Blockchain solutions have been proposed to create ledgers that make tracking for intermodal transport simpler and more comprehensive. Looking for a 3PL partner at the port of Los Angeles? Contact us.